The Prefecture of Etoloakarnania is the westernmost part of Central Greece, and borders to the southeast with Fokida, and northeast with Evritania. This is the largest prefecture in Greece and combines the beauty of sea and mountains. 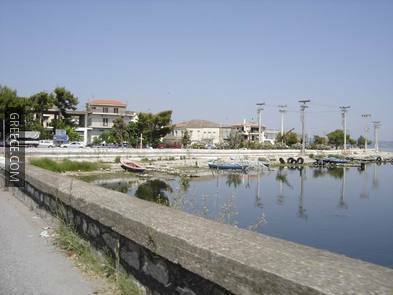 In 2004, the “Rio – Antirio” bridge was completed, connecting Etoloakarnania with the Peloponnese. This bridge has made both sides much more accessible, and has offered a wonderful new sense of the true beauty and charm of these regions of Greece. The capital city of Etoloakarnania is Messologi, one of the most historic cities of the country. However, the biggest city and the economic centre of the prefecture is Agrinion. Messologi is located just 34km from Antirio, where the bridge is situated. The city and the castle located there, played an important role in the Greek revolution against the Turks, and resisted attack for many months; it was also the scene of the heroic exit of the besieged Greek fighters in 1826. Messologi is an important trading city and tourist port, which was built between the opening of two rivers, those of Evinos and Aheloos. This is the reason for the famous seawater lake that is found here today, and which is now a declared national park, and is protected under specific laws. Messologi offers visitors the chance for wonderful holidays in a very natural and relaxing setting. The city is the ideal base from which visitors can venture outwards and explore some of the other beautiful areas of the Prefecture. 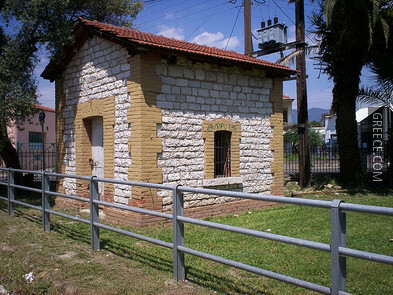 The prefecture of Etoloakarnania is historically known mainly due to its capital Messologi. The city is connected to the Greek Revolution of 1821 and the passion of the Greeks who chose to die than to surrender to the Turks. However, the area has a much longer history. The region is one of the oldest inhabited areas of Greece. The ancient residents of this region, which was named Etolia at the time, are known as Kourites and Etoloi. 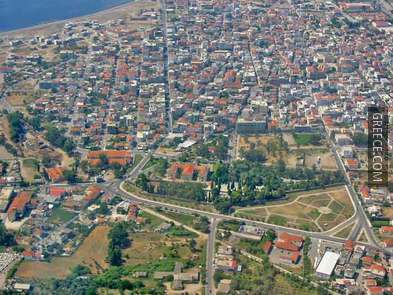 In the region around Messologi and Etoliko, lay flourishing Kalydona and the Plevrona, cities well known all over ancient Greece. Also Etolia had a mix of populations since antiquity –Prohellenic populations, Protoahaic, Ahaic, Dorians. 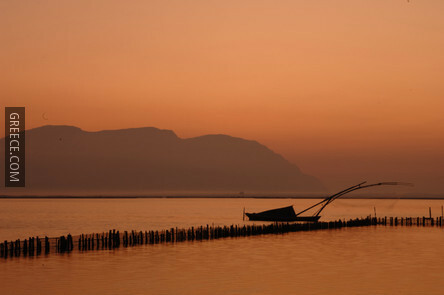 These ancient populations were involved in livestock-farming and agriculture, while their relations with the lagoon were curiously limited, due to piracy and raids. Around 314 BC, the Etolian Confederation was created and initially included ancient Etolia and Epektetos, which is the western foothill of mountain Pindos. By 280 BC., the Confederation included Macedonia, Epirus, Athens and Viotia. The Etolian Confederation is famous for its constitutional organisation which was the most complete and perfect in Greece. Agriculture and livestock-farming supported their economy, while their society included powerful families and a lot of poor farmers and cattle-breeders, but no slaves or serfs. The region passed to the hands of the Venetians in 1204 AD, and because of its strategic position, Messologi’s economy grew. It was no longer limited in agriculture and livestock-farming, as commercial trade started developing. The city reached its peak during 1740-1770, as a commercial and navy centre with 75 boats. The fall of Venice (1797) was a big blow to the region, but nevertheless the beginning of the 19th century signaled rebirth. The complete exploitation of natural wealth led to the strengthening of the city, whereas its weakening, that followed shortly, was mainly caused by the predatory policy of Ali Pasha. 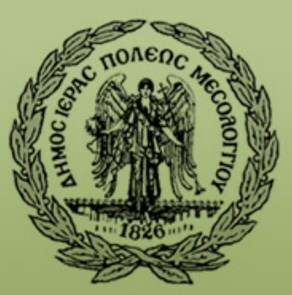 Messologi played an important role during the liberating fight of the Greeks against the Turks. After the Revolution had started and the battle of Peta, the Turks were directed towards Messologi in an effort to regain control of the city and prevent the revolution of rich Peloponnese. After the first unsuccessful attack on 20 July 1822, the negotiations gave time to the people of Messologi to organise their defense. The Turks attacked again on Christmas day of 1822, with the view to find Greeks unprepared because of the celebration. However, the Greeks had learned of the Turkish plans from the Greek secretary of Omer Vryoni, Konstantinos Gounaris, and when the Turks attacked, they met a considerable number of defenders. As a result the Greeks won again and the city remained in their hands. At the end of April 1825, the Turks returned with an army of 35,000 men and camped outside Messologi. The siege continued and the Greeks resisted, even without food or ammunition. After eight months, the situation for Greeks was desperate. Without supplies, famine and illnesses spreading, the Exodus was decided almost one year after the beginning of the siege, on the night of 10 April 1826. The confusion, the panic during the Exodus and the Turkish attack caused enormous losses for the Greeks. 1,300 soldiers only managed to reach Amfissa, while children and women were decimated. Those who did not manage to leave, led by Christos Kapsalis, blew up the stored powder-kegs. Bishop Joseph Rogon, after two days and nights of hard resistance in the windmill, put fire to the last barrel of ammunition completing the Epic Exodus on 12 April 1826. 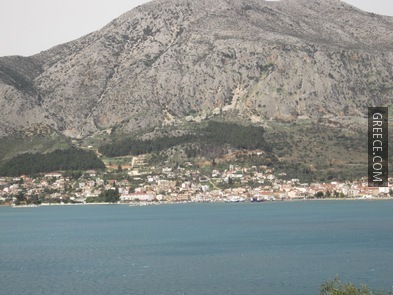 With the constitution of the Greek state, Etolia was one of the 5 regions that started naval activities. The city of Messologi and 22 more were rebuild. In the late 1820s, Aetolia and Acarnania joined into one. Agrinion: This is the biggest city of the prefecture and it is situated 35km north of Messologi. 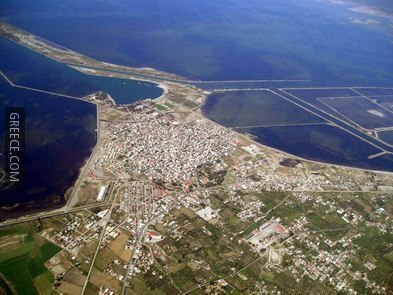 The city is the greatest residential economic and social centre in northwestern Greece. It is inhabited by about 100,000 people, and it is built on top of the ancient town of Agrinion. The city is situated in a large plains, irrigated by Aheloos River. 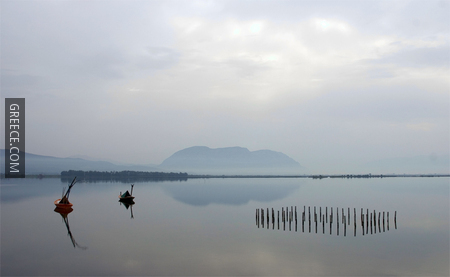 Water surplus is stored in five lakes, and the whole area is a rich agricultural production centre. Tobacco growing and olive tree plantations are, by tradition, the main fields of local interest. Visitors may come across ancient theatres, monasteries, churches, ancient and medieval castles and forts. 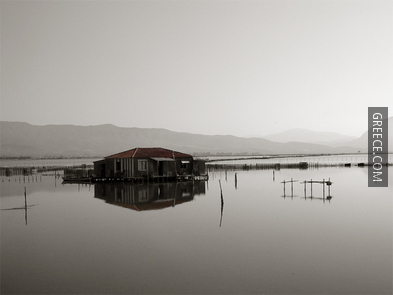 Amfilochia: This small town lies at the entrance of Amvrakikos Bay. It is built amphitheatrically on the side of two hills, next to the sea. 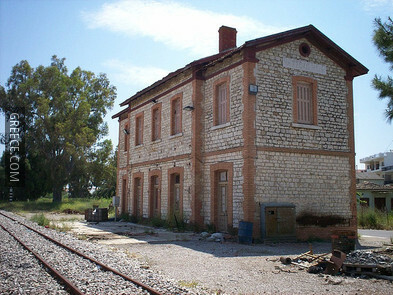 Amfilochia is a transport centre and a stop for travellers to Ioannina, Corfu, Lefkada and Arta. 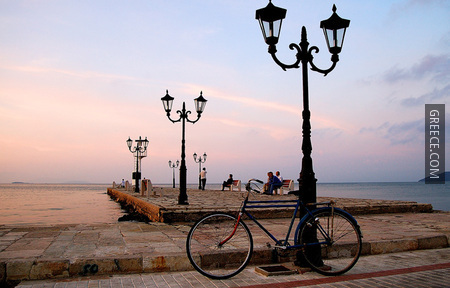 The town offers an adequate tourist infrastructure for travellers and many beautiful beaches, spread around the Bay. The most well known beaches of the area are: Sparto and Ai Giorgis, two communal organized beaches at the outskirts of the town, and Bouka, a huge beach a bit further, where the old monastery of Agios Nikolaos is located. Further north, at Menidi you can feast on all types of seafood at its waterfront ouzeri and taverns. 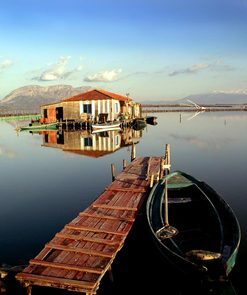 South of Amfilohia, on the national road towards Agrinion, there is a small beautiful village, named Katouna, on the shores of Lake Amvrakia that is worth a visit. 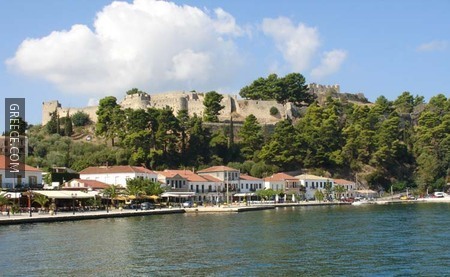 Nafpaktos: Situated 44km south of Messologi lies the picturesque coastal city of Nafpaktos. Located between Messologi and Delphi, right opposite the Peloponnese, the city is amphitheatrically built on the southern side of a hill crowned with a castle, sloping down to the picturesque walled small Venetian port, the heart of the town. It is one of the oldest towns in Greece, with a history of more than 3500 years and was known to the Europeans as “Lepando” after the large sea battle between the allied forces and the Turkish navy, which took place here in 1571. 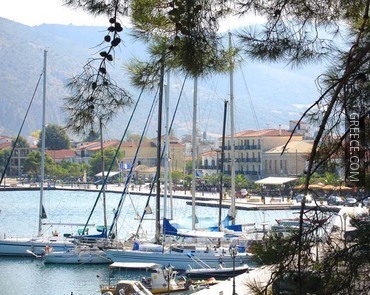 Nafpaktos is a very charming holiday destination in Etoloakarnania, and is well equipped. There is a wide variety of accommodation in the town, as well as a wealth of restaurants, cafes and bars. Moreover, during summer, there is a rich program of cultural activities, with theatrical, musical and dance performances, and exhibitions of books, paintings and photography. There are two crystal clear beaches in the town, one at its east and one at its west end. Nafpaktos is ideal for visiting all year round, and is a popular destination for those seeking alternative tourism, and a place where one can easily comes in contact with nature. The mountains near the town are the most densely wooded areas with spruce and firs in all Greece; of rare beauty, they are worth visiting. 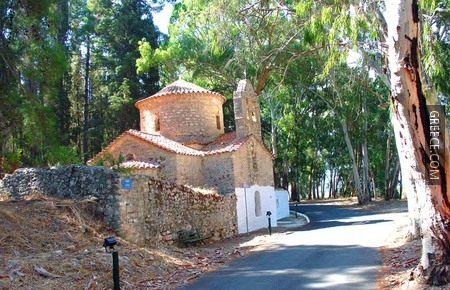 Platanos, known for its forest which contains dozens of species of trees, Arahova, Perkos, Dorvitsia, Simos, Ano Chora, Terpsithea, Elatou, Hrissovo and Ambelakiotissa– tiny villages in the woods 700 to 1000 metres above sea level – will enchant you with their wild beauty. 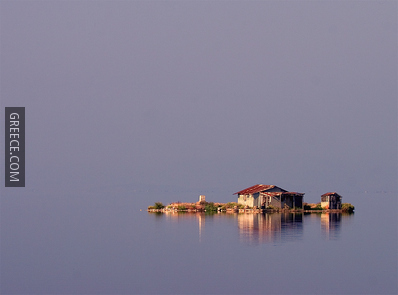 Vonitsa: This seaside town is situated in the northwestern part of the Etoloakarnania Prefecture. It is situated in the bay overlooking the Ambracian Gulf and has a small forested peninsula. The village is dominated by a massive castle, which was built in the Byzantine period. Coach: Messologi has regular KTEL coach connections to many Greek cities, such as Athens, Thessaloniki, Chalkida, Patra and Larisa.